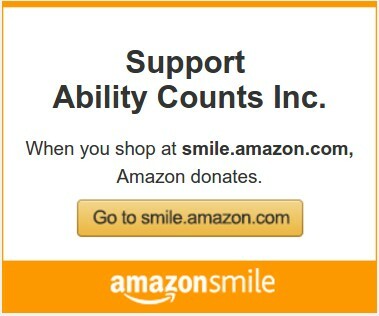 When you shop Amazon, using Amazon Smile, you can support Ability Counts, Inc. For all of your purchases using our special link, Amazon donates .50% to Ability Counts! Shop & Support Ability Counts! 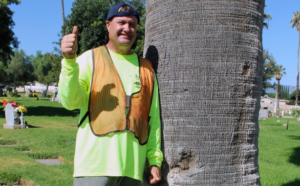 While doing his daily work at the Corona Sunnyslope Cemetery, client, John Reisenauer (we know him as JR), came across a crisp $100 dollar bill, laying on the ground. He did his duty and turned it into the front office. The front office held it for the required time for the owner to claim it. The owner did not come and claim it in that time and JR was awarded this item. 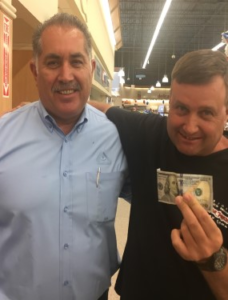 JR then decided to donate that $100.00 to a non-profit organization called FeedSoCal. 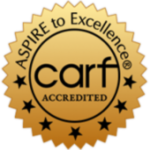 This organization feeds the homeless of Southern California. Channel 7 news has been promoting it for the month of June. JR and Manager, Eddie of Albertsons.